Today’s post is a short one – a quick tip/script that would come to use in most development/quality assurance environments. Most non-production environments see a constant change to the number and nature of the databases that are deployed on a given SQL Server instance. There would be a copy of the database for maintenance teams, another one for the team working on newer enhancements to a product and a few other copies for special purposes, targeted to study and resolve a specific issue or deployment. Once the particular task is completed, these databases are dropped. What is left behind are the components of that deployment that are not directly “contained” (for lack of a better word) by SQL Server. --Query to identify orphaned jobs! I trust that you have found (or will find) the above query useful. If you use any other query/mechanism or have faced similar issues with cleanup of other objects related to the SQL Server Agent, I would like to know. Do share your experiences in the comments below. 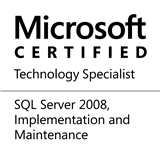 This entry was posted in #SQLServer, Blog, Imported from BeyondRelational and tagged #SQLServer on November 29, 2012 by nakulvachhrajani.